I am cheating a bit here and naming two authors. I read Stephen King voraciously as a teen and young adult…and then didn’t read anything by him for a couple decades until I picked up Joyland, which reminded me of why I read him in the first place: he’s awesome. I am looking forward to reading Revival, which sounds terrific. Carolyn Slaughter is probably the other author whose work I’ve tracked down relentlessly over the years based on her novel The Banquet, which remains one of my all-time favourite reads. I am brutal for starting series and not finishing them, except when it came to Patrick Ness’s Chaos Walking series, which begins with the book The Knife of Never Letting Go. and continues with The Ask and the Answer and Monsters of Men, both of which I devoured in short order. Oh please. Physical books. My brother gave me a Kobo a couple Christmases ago and I still haven’t figured out how to work it. Some bad boy who is really good beneath the tough exterior. (I have a type; don’t judge me.) Lucas from Easy comes to mind. The Book Thief I know, it seems ridiculous considering how much I love this book but in the beginning…not so much. It’s amazing how many books get published each year to little or no fanfare. 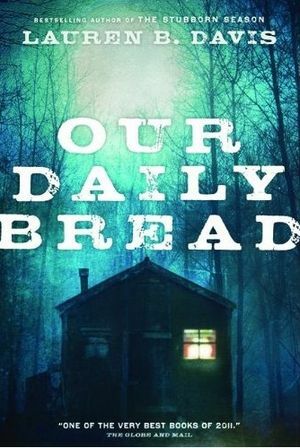 I don’t know enough about the publishing world to understand why mediocre books get all the bells and whistles and books like Lauren B. Davis’s riveting novel Our Daily Bread, despite being shortlisted for the Giller, barely made a blip on the literary landscape. I only discovered it by accident and I am so glad I did. Read this book! Probably Stephen King’s It, which clocks in at over 1000 pages and I loved every single moment I spent with those characters. I don’t know what this means. Does it mean books that I can’t stop thinking about? Or books that drove me crazy? I dunno. I have beautiful built ins thanks to my brother, Tom. He also built me a nice set of shelves for behind my couch. 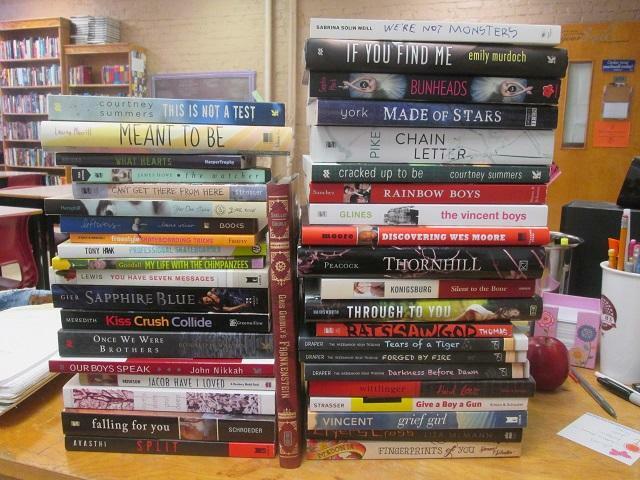 Plus, let’s not forget the TBR shelf, which you can see in this post. I have a really nice IKEA bookshelf, too, but it is currently being used for a non-book purpose. I have read Kristin McCloy’s novel Velocity multiple times. I bought the book at the Strand in NYC probably the summer of 1984 and I’ve read it every couple of years since. Maybe it’s time to revisit and write a review, since I talk about it so much. Reading is the last thing I do before I turn off my light – so in bed. But I’ll read just about anywhere, though maybe not as comfortably. 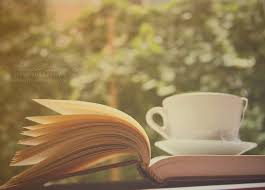 I don’t really have too many reading regrets – maybe that I don’t have all my childhood books. Or maybe that sometimes I do other pointless stuff when I should be reading. This is like asking a mother to choose her favourite child, you know that, right? This is not something I follow because I don’t run out and buy books as soon as they come out. Buying way more books than I can possibly read in the time left in my hourglass. The Shining Girls – Lauren Beukes…let’s not talk about the box of YA books I received via Bookoutlet this week. Probably The Fault in Our Stars I was bawling into my pillow at 3 a.m. On a school night! This entry was posted in Uncategorized and tagged Book Chat, meme by Christie. Bookmark the permalink.